As you can see (pictured) here it all started at 6am this morning with our New Breed St Paddy's Day Special Boot Campers. Top of the Day ProKicker's and ProKick web-surfers, wishing you all Happy St Patrick's Day 2014. As you can see (pictured) here it all started at 6am this morning with our New Breed ProKick St Paddy's Day Special Boot Camp. Just a quick line to inform you that all our classes are on as normal today 17th March 2014. 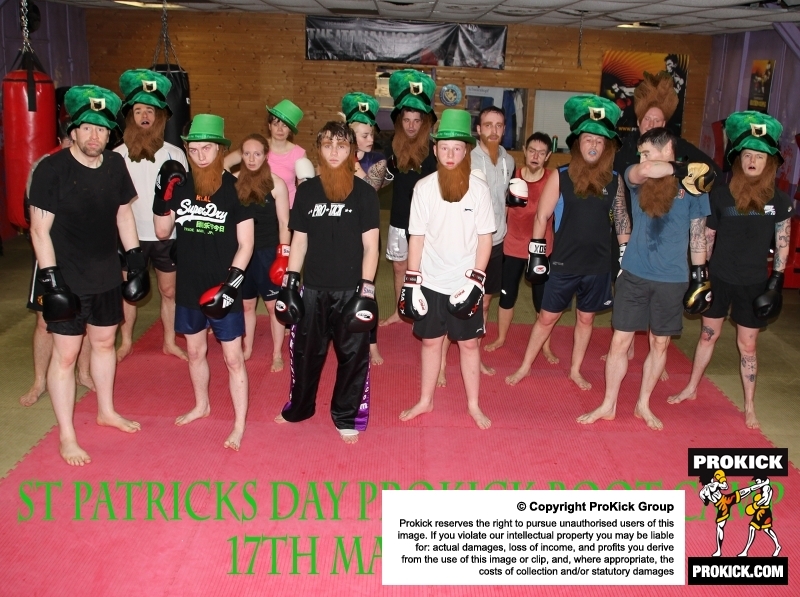 St Patrick's day celebrations will start back again at 6pm with our yellow belt class - 6.45pm with orange belt levels. Followed by Advanced beginners at 7.30pm, finishing with the 5th week of our new beginners class at 8.15pm.